On Tuesday 16th April, we will be hosting a Landlord Clinic. Whether you are a Private Landlord or are using another agent, we are more than happy to help you with any issues you may currently be facing. We will also be working alongside Trethowans Solicitors for the event, who will be on hand to give you and advise you if you need any help on the legal side of things. 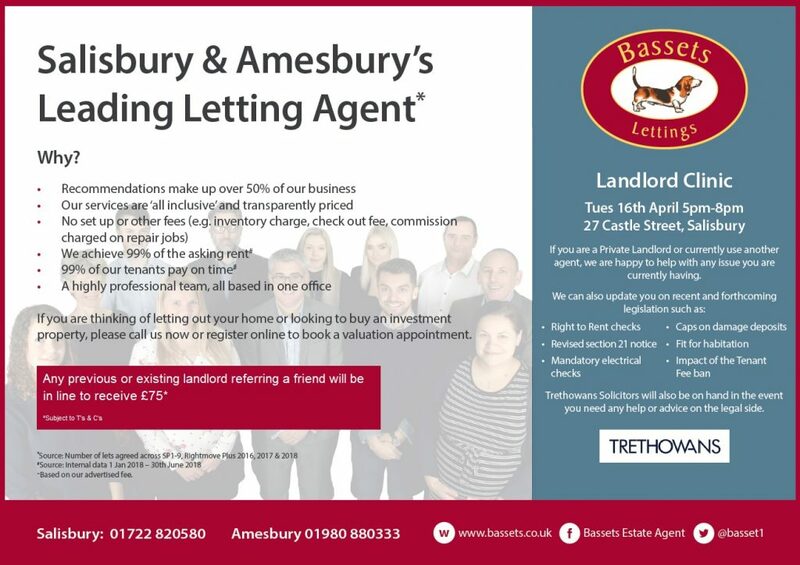 So, if you’re an existing Landlord, looking to become one or just after a bit of advice with the upcoming changes get in touch and RSVP to quentin.thatcher@bassets.co.uk.